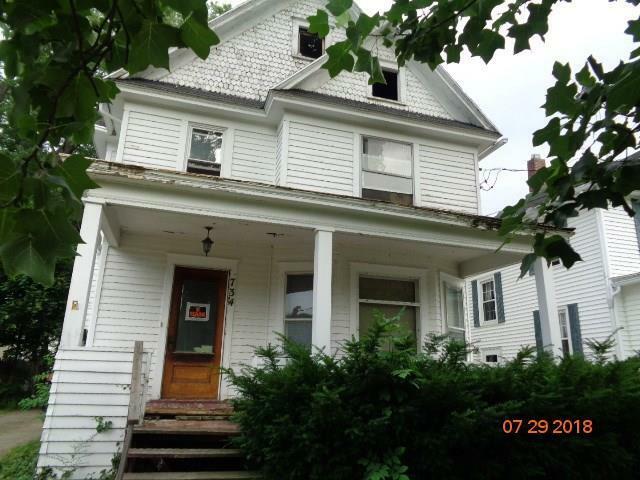 3 bedroom classic colonial home featuring covered front and rear porches, very deep rear yard, great for enjoyment of pets, children and property owner!! Basement, entry foyer, brick fireplace. Front and rear porches as well! Convenient to schools, shopping and public transportation. Quiet neighborhood!~~Good location, good potential! No working utilities or mechanicals. Needs roof, plumbing, heating, bathrooms & electrical do not work. Garage may not be salvageable. Holes in floors & ceilings. Home is not habitable! Directions To Property: 7th St. To Deer St. Home On Left.